Danny Glover is the legendary actor, film director, and political activist who graced American screens in the 80s and 90s with his versatility shown in his perfect portrayal of different characters. Mostly known for his remarkable role in the Lethal Weapon film series, Glover is nothing below average in terms of excellence. There is a lot to know about the legendary all-rounder apart from his movies and Hollywood fame. He was born on July 22, 1946, in San Francisco, California, to James and Carrie Glover. He attended George Washington High School in San Francisco before he proceeded to San Francisco State University (SFSU). He developed an interest in acting as well as sports while in high school. However, his dreams of being a sportsman were trashed following a massive strike of epilepsy. Undeterred Glover continued with his education and soon developed a self-hypnosis to control the illness. While studying at San Francisco University, he delved into activism and joined the Black Students Union as well as partook in a 1968 strike aimed at the establishment of a Department of Black Studies. While working in city administration, he moved to theatre, joining the American Conservatory Theater in San Francisco. He soon resigned from city administration and decided to go into acting fully. His decision saw him make a move to Los Angeles in search of movie roles. Due to his versatility, Glover was featured in lots of movies and series and got lots of stage roles too. His most popular role was in the Lethal Weapon series (1987) where he starred alongside Mel Gibson. He also featured in Predator 2 (1990). Also in 1990, he featured in To Sleep With Anger which earned him an award under the Independent Spirit platform. In the following years, he was cast in A Rage in Harlem (1991), Grand Canyon (1991) and Bopha! (1993). In 1994 Glover made his debut in directing with the short film Override. That same year, he set up black-oriented Robey Theatre Company alongside actor Ben Guillory. Under Carrie Films, his former production company, Glover made a lot of short films in 1997. After his role in Freedom Song (2000), he landed another in The Royal Tenenbaums (2001) where he was cast alongside Gwyneth Paltrow, Ben Stiller, Anjelica Huston and Owen Wilson. Glover also featured in the thriller-horror movie Saw in 2004. He was part of the cast of the film The Exonerated which was based on the true-life story of Keaton, who was arrested and jailed wrongfully. He was part of the documentary feature film The People Speak which was based on Howard Zinn’s ‘A People’s History of the United States’. He later played a role in the film I Want To Be a Soldier in 2010 and also starred in Echo in 2012. For a man of his caliber, Danny Glover’s estimated net worth of $40 million is quite deserving. The actor has his versatility as well as his movie and short film roles to thank for his net worth. Moreso, he has been described by some platforms as one of the richest black actors in Hollywood. Danny’s unparalleled skills have also earned him lots of awards, nominations, and recognition across the globe. The actor who has bagged the Image Awards in different years, ( 1989, 1990, 1995, 1997, 1999, 2001 and 2003), won an award at the Los Angeles Pan African Film Festival in 2003. In 2005 he won an award at the Monaco International Film Festival. He also bagged the Christopher Awards in 2001, and the Asia Pacific Screen awards in 2015. He is a member of the Jazz Foundation of America which is centered on the affairs of music and musicians. Family – Wife, Son, Is He Related To Donald Glover? Danny Glover’s personal life is not as driving as his life on screen. The actor whose parents actively partook in the activities of the National Association for the Advancement of Coloured People led a quiet life even though he was very active on the screens. Danny got married to Asake Boman in 1975. He had a child Mandisa born in 1976 with her. However, in 1999, the couple got divorced. Glover did not get involved with another woman until 2009 when he married Eliane Cavalleiro. 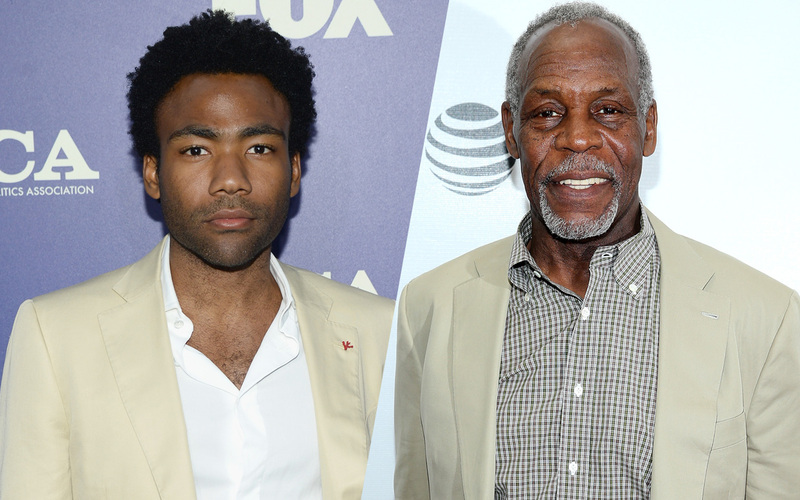 There have been speculations pointing to a possible relationship between Danny Glover and actor and comedian Donald Glover. Owing to the fact that the two share the same last name, look alike, and are into the same business of television, some have regarded them as father and son. But these speculations retain no water as the two have refuted the claims. To shed more light on the issue, Donald Glover grew up in Georgia while Danny Glover is from California. Moreso, Donald has outrightly denied that Danny is his father.